HOME > Events & Projects > A Public Talk Why Biennale/Triennale? What’s Contemporary Art? 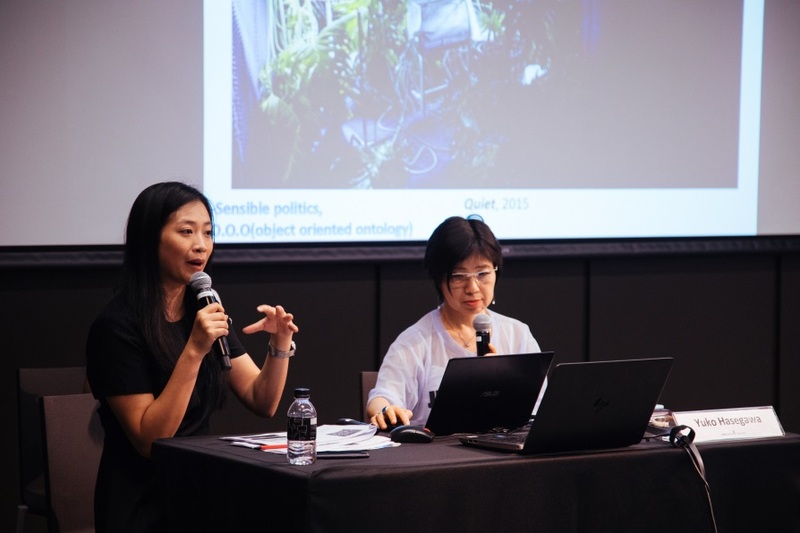 A Public Talk Why Biennale/Triennale? What’s Contemporary Art? 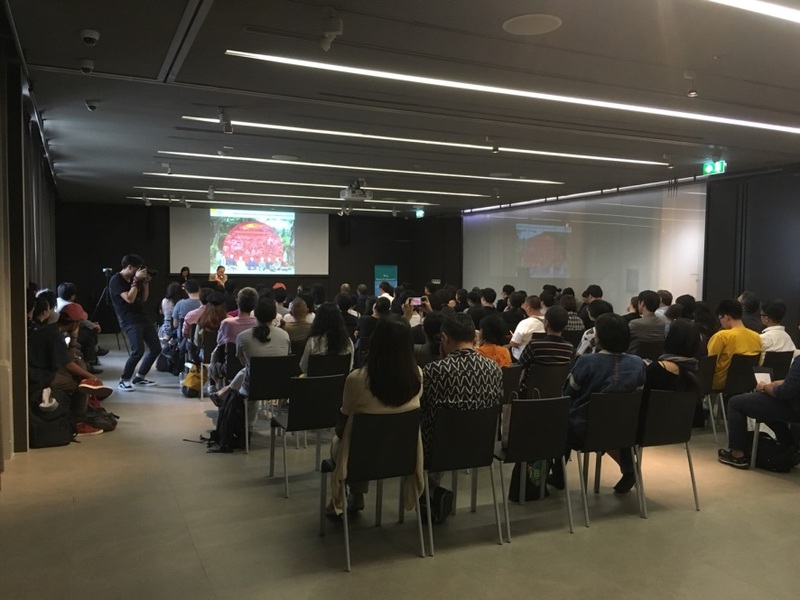 The Japan Foundation, Bangkok and Jim Thompson Art Center, in cooperation with Thailand Creative & Design Center (TCDC) and the Office of Contemporary Art and Culture, Ministry of Culture co-hosted a public talk “Why Biennale/Triennale? What’s Contemporary Art?” at TCDC on Saturday 3 November 2018. At this crucial juncture witnessing the rapid growth and expansion of the art scene in Thailand, we re-examined such fundamental questions as “Why Bien/Triennale?”, “What’s Contemporary Art?” through a public talk by eminent art professionals from Japan; Mr. Fram Kitagawa, General Director, both Echigo-Tsumari Triennale and Setouchi Triennale, and Ms. Yuko Hasegawa, Artistic Director, Museum of Contemporary Art, Tokyo as well as Professor, Tokyo University of the Arts. For the panel discussion, we welcomed Ms. Gridthiya Gaweewong, Artistic Director, Jim Thompson Art Center as well as the international curator for Gwangju Biennale 2018, as its moderator. Nearly 90 people joined the event. Born in Niigata Prefecture in 1946. Following his graduation from Tokyo University of the Arts, Fram Kitagawa organized various exhibitions that introduced to Japan works of art that at the time were not well known. He has been responsible for a wide range of art projects such as the Antoni Gaudi exhibition that traveled to 11 Japanese cities in 1978-1979 and the Apartheid Non! International Art Festival that was shown at 194 venues throughout Japan in 1988-1990. 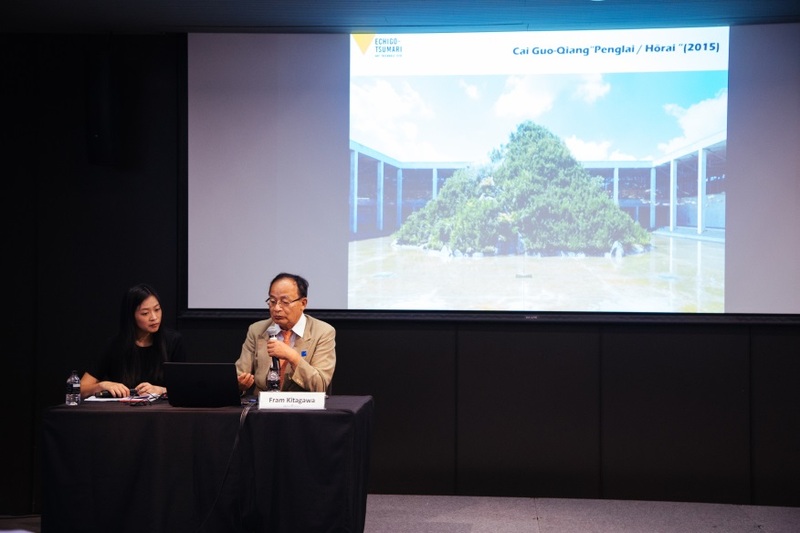 Kitagawa has received high praise for his involvement in activities related to community development, such as his lead role in the planning of the Faret Tachikawa Art Project and the cultural activities he oversees at the Daikanyama Hillside Terrace. 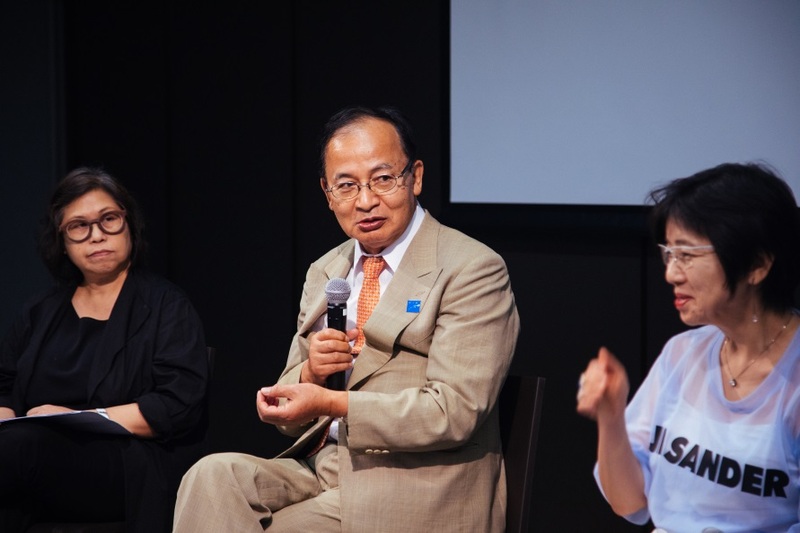 He has served as the general director of the Echigo-Tsumari Art Triennale since 2000, and has made a major contribution to the development of the region through art. 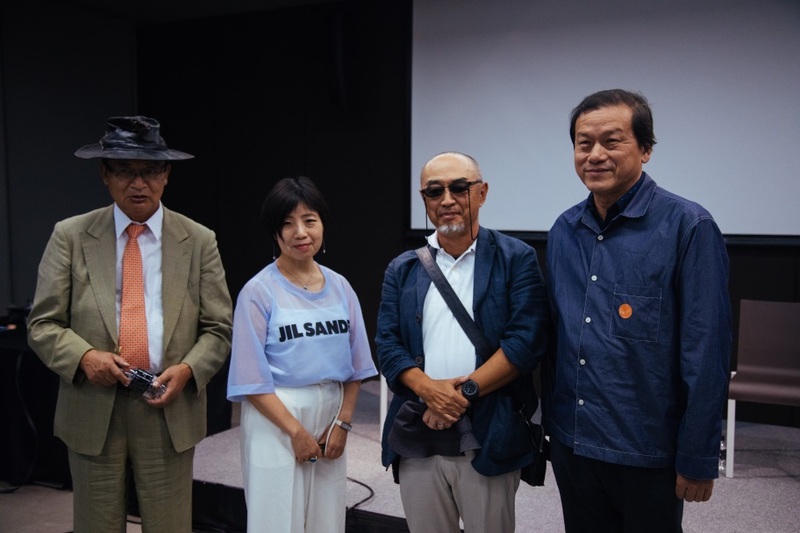 He has also served as the general director of the Setouchi Triennale since 2010, the Japan Alps Art Festival as well as the Oku-Noto Triennale since 2017. He is the recipient of many awards, including the Ordre des Arts et des Lettres from the French Republic, the Order of Culture from the Republic of Poland, the 2006 Japanese Education Minister’s Award for Art (in the field of art promotion), and the Order of Australia: Honorary Member (AO) in the General Division (2012). He was awarded the Japanese Medal of Honor with Purple Ribbon in 2016 and the Asahi Prize in 2018. Yuko Hasegawa is Artistic Director of the Museum of Contemporary Art, Tokyo (2016 – present) and Professor of Graduate School of Global Arts, Tokyo University of the Arts (2016-present). She was a Chief Curator and Founding Artistic Director (1999 – 2006) of the 21st Century Museum of Contemporary Art, Kanazawa and Chief Curator of the Museum of Contemporary Art, Tokyo (2006-2016). She is Artistic Director of Inujima Art House Project (2011-present). She named as Curator of 11th Sharjah Biennial (2013), Co-Curator of 29th São Paulo Biennial (2010), and Artistic Director of the 7th International Istanbul Biennial (2001). Her recent projects include the Fukami Exhibition at Hotel Salmon de Rothschild（2018）. the 7th International Moscow Biennale of Contemporary Art: Clouds ⇄ Forests (September 2017). Japanorama: NEW VISION ON ART SINCE 1970 ​​​​at Centre Pompidou-Metz (October 2017), Kishio Suga: Situations at Pirelli HangarBicocca, Milan (2016), New Sensorium Exiting from Failures of Modernization at ZKM | Center for Art and Media Karlsruhe (2016). She has also served on the jury for Nasher Prize Nasher Sculpture Center, Dallas (2015-2018); the Premio MAXXI BULGARI, Roma (2017-2018); and the 48 Esposizione La Biennale di Venezia (1999), among others. Also, she is a jury member of Hugo Boss Asia Art Award (2017, 2015, 2013). Gridthiya Gaweewong founded arts organization Project 304 in 1996, and is currently Artistic Director of the Jim Thompson Art Center, Bangkok. Her curatorial projects have addressed issues of social transformation confronting artists from Thailand and beyond since the Cold War. Gaweewong has organized exhibitions and events including Underconstruction, Tokyo (2000 – 2002), Politics of Fun at the Haus der Kulturen der Welt, Berlin (2005), the Bangkok Experimental Film Festival (1997 – 2007) (co-founded with Apichatpong Weerasethakul), Saigon Open City in Saigon, Vietnam (2006 – 2007) (with Rirkrit Tiravanija) and Unreal Asia, Oberhausen International Short Film Festival (2010). Gaweewong is on the curatorial team for the 2018, 12th Gwangju Biennale, Imagined Borders.